Not sure how many of you have followed the news as it relates to this, but on the internet there is a huge outcry about a new bill going before the house called the Stop Online Piracy Act (S.O.P.A) and before the Senate called Protect IP Act (P.I.P.A.). 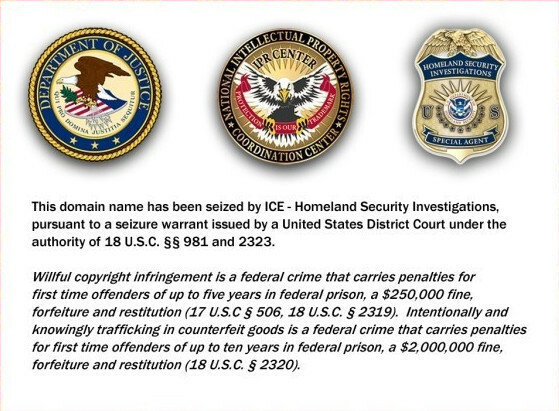 The crux of these acts is to allow the government to block domain names (website address) if they are accused of infringining upon intellectual property. On the outset that seems like it is a fairly decent cause, after all artists should be allowed to protect their IP. The problem with this law however is the inherent lack of transparency and due process that it lays out for the infringement process. A disportional amount of power is provided to the accuser and the law sets out a standard that assumes the accused party is guilty until proven innocent. What it gives private corpartions the power to do is accused a website of breaking intellectual property, accused it in a closed system and have the website immediately taken down. This could have potentially catastrophic ramifications on the internet as it pertains to freedom of speech, fair use, content creation and more. Perhaps more importantly is that this law becomes transnational in its affect, potentially preventing someone in France for example accessing a website because the U.S.D.O.J identified it as being infringing. The bill has been criticized by Abigail Phillips of Electronic Frontier Foundation for not being specific about what constitutes an infringing web site. For example, if WikiLeaks were accused of distributing copyrighted content, U.S. search engines could be served a court order to block search results pointing to Wikileaks. Requiring search engines to remove links to an entire website altogether due to an infringing page would raise free speech concerns regarding lawful content hosted elsewhere on the site. Overall I think this presents a tremendous constriction of civil liberties and unfortunately it appears to represent to the interests of corporations. Artistically speaking if you look back at history, the greatest achievements in the arts are often found, observed and created through the copying, remixing and reimagining of works. Part of the initial intent of copyright is that it would have an expiration date on it to allow the content to be freely avalible and accessible to the world for use and growth. There is no doubt that copyright has some issues. The debate of piracy actually causing harm in an online sense is a seperate debate entirely (I do not think it does), but to remove due process and create a system that assumes guilt is a terribly wrong step for the United States to take.